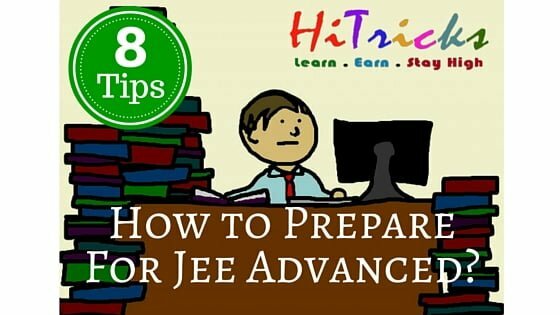 Home » Sponsored » How to prepare for JEE Advanced 2016? JEE Advanced 2016 is premiering on 22nd May 2016. Those who are appearing for the exams this year, this current time is very much vital for you. Your current progress and hard work will ultimately reflect in the exams. So make use of this time well for practicing your study materials. Do you know How to Crack JEE Advanced 2016? Can you suggest me how to study during the lasts few months of JEE Advanced? 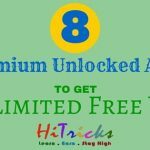 How to become topper in JEE Advanced? This post is specially for them. Here we provide you some amazing tricks to prepare for the exam successfully and be a topper. Even if you don’t realize, if you spend 10 minutes every hour on Facebook or Whatsapp, you are wasting your valuable 3 hours every day. That equals 540 hours in 6 months. Want to waste this 540 hours? Use apps like Stay Focused and Forest to keep yourself attached to studies. The more you supply nutrients to your body, the more strength your body will provide you during this time. So, never neglect your health. Sleep at least 6-7 hours a day. Eat green foods and fresh vegetables and plenty of water. And do follow the routine you make. At the end of the day an action plan without any implementation won’t help you crack JEE Advanced. Don’t study more than 50 minutes at one go. Take a 10 minutes break and start again. In this break, DO NOT open Facebook or Whatsapp, try to focus on what to study next, or meditate. If any part is left for you to cover up, please do that now before jumping into mcq question papers. Simply solving questions without reading the topic will give you partial knowledge only. Studying is not all. Always revise what you learnt the past day to past week regularly at a particular time. This will make sure you never forget what you learn. Be transparent with your knowledge. Clarify even your slightest queries from your teachers and friends. If none of them are available, google it. Don’t keep them cluttered for later. Nothing much to describe here. Solving previous years’ JEE Advanced papers serves as model questions and helps you to know the exact question pattern for the exam. It also makes you confident of the exams. No matter how much we guide and motivate you and help you prepare for the exams, the key to crack JEE Advanced is your hard work. Detach yourself from everything and everyone and just study. So these are the 8 Keys to Prepare for JEE Advanced. This JEE Advanced 2016 Guide gives you the important dates for your exams, eligibility criteria, application procedure and also suggests you some necessary and recommended books to follow during this period. You will also get some of the best coaching centers all over India. Do prepare yourself well. Thanks for reading this article. Help your friends with this important tips by sharing them on facebook. Use the share buttons below. If you have any other trouble, do comment and we will try our best to help you. Wish you all the best for your upcoming JEE Advanced exam. Keep Calm and rock it! Thanks a lot for such useful content. Really helpful.